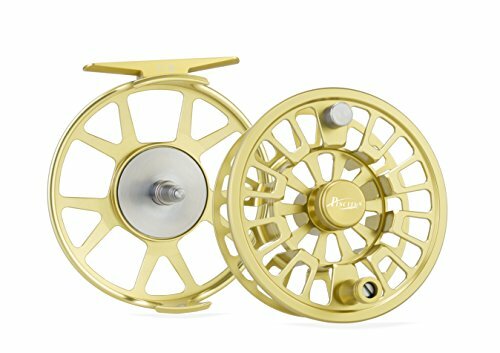 PISCIFUN Reels has always stood for quality fly reels at a reasonable price. 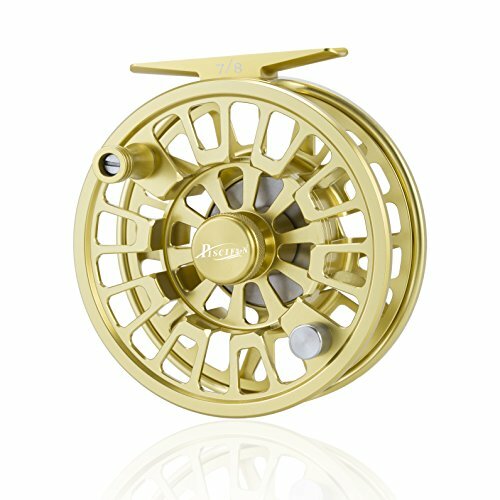 The frame and spool of the PISCIFUN BLAZE Fly Reel are cold-forged and CNC-machined aluminum for unyielding hardness and rigidity. 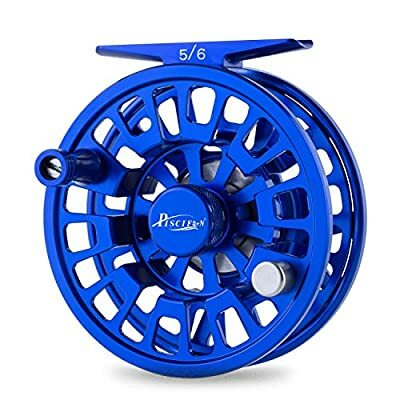 A super-smooth in-line disc drag system assures even pressure to protect light tippets. 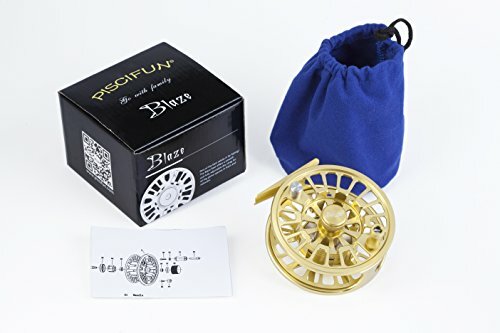 Gold hard-anodized finish offers protection from the elements Concave arbor for greater strength and capacity ; Includes drawstring bag; No tools necessary to convert between right- or left-hand retrieve. THREE-YEAR WARRANTY! CNC-machined 6061-T6 aluminum alloy for high-impact durability. Exquisite appearance, tight tolerances, no wobble, no side play. SMOOTH DRAG: Multi-disc cork and stainless steel drag system with one-way clutch bearing for smooth immediate drag engagement. MID-ARBOR DESIGN: A great balance between backing capacity and rapid line pickup, not easy for line backlash. Concave ported arbor for greater strength and capacity. CORROSION RESISTANCE: Hard anodized for surface protection; cold forged and tempered for superior strength and rigidity. 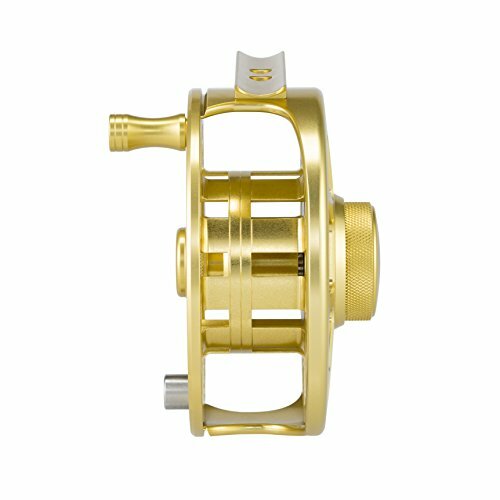 EASY CONVERSION TO LEFT OR RIGHT HAND RETRIEVE: Finely machined and knurled metal screw caps to loosen the spool; our reel has been set at the factory for left-hand retrieve. 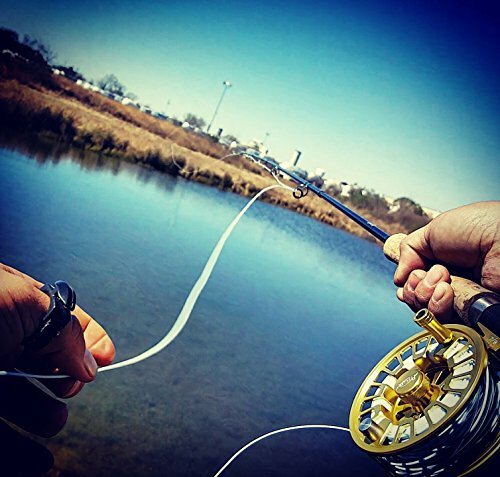 To convert your reel to right-hand retrieve, please contact us for guide.